Middle-Market Supplier of Frozen Bakery Products, Seafood, Appetizers, Ingredients, and more. Late May marks the beginning of consumer BBQ season, an extremely busy time of year for all parties in the supply chain—especially for food shippers. Because this time of year coincides with peak produce season, capacity throughout the south is tight. It can be a challenge for asset-based carriers to shift enough capacity into the region due to short lead times and ever-changing volume levels creating unpredictable coverage and price volatility. The Manufacturer, a leading producer of frozen foods, needed carriers that could regularly cover their temperature-controlled shipments out of a plant in the southernmost part of Texas—a remote area with a finite number of outbound opportunities and, consequently, limited inbound capacity. 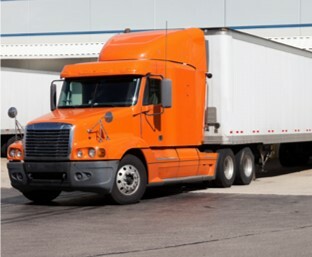 The Manufacturer faced a constant battle to procure refrigerated trucks—often having to pay surge prices or miss orders altogether due to the combination of two things: a lack of coverage for overflow shipments and unpredictable contracted carriers not meeting commitments. Surge capacity challenges were causing the Manufacturer to spend a lot of time handling crises internally, from procurement and sourcing to putting out fires with customers. Not only were they paying higher prices to secure coverage, each failed shipment threatened relationships with their foodservice, bakery, and retail customers. To reduce internal frustration and maintain positive customer relationships, the Manufacturer needed a service provider that could ensure reliable coverage, stable pricing, and a high level of service on all of their shipments. Considering the Manufacturer’s year-round volume, LoadDelivered worked with their top relationship carriers to establish dedicated coverage, pricing, and service standards. Rather than offering current market rates, LoadDelivered took a long-term approach to pricing and sourcing. They analyzed market trends to deliver a dedicated solution tailored to the Manufacturer. Despite the near-term surge challenges, LoadDelivered collaborated with their Tier One Carrier Network on the full scope of the opportunity, offering a win-win solution. The Manufacturer would benefit from reduced risks, costs, time, and headaches associated with supply chain disruptions or failures; while contracted carriers would benefit from consistent load flow and fewer cyclical spikes throughout the year. Guaranteed Capacity at a Fixed Price. Because of deep routing guides, LoadDelivered could guarantee year-round capacity at a fixed price by contracting the Manufacturer’s freight to a unique network of carriers and drivers exclusive to the LoadDelivered network. The Right Carrier for the Right Shipment. Through extensive carrier profiling, which included an analysis of available trucks and equipment, LoadDelivered leveraged technology to match the Manufacturer’s freight with the appropriate carriers. Strict Carrier Compliance Standards. LoadDelivered Tier One Carriers must undergo an intensive onboarding process, followed by continuous, automated compliance checks that measure on-time percentage, bounce rate, OS&D count, geo-tracking capabilities, and more. A three-strike policy removes carriers from the selection process if standards are not met. Creative Drop Trailer Pooling. LoadDelivered developed asset-like drop trailer programs that allowed for more fluid tractor utilization in times of decreased capacity and increased volume demand—something other 3PLs often have trouble creating and executing. Speedy Go-Live. Because LoadDelivered had a network of hundreds of trucks that could be re-positioned into the origin market (an effort that often takes weeks), they were able to secure capacity within minutes. LoadDelivered helped the Manufacturer lock in reliable coverage and stable pricing mid-surge, and sustain stable pricing through future surges. This saved the Manufacturer a considerable amount of money and eliminated the many headaches that normally come with trying to get reliable coverage out of a remote location. Because a year-round contract was put into place, the Manufacturer was able to maintain that same level of coverage, price, and service stability beyond Memorial Day, ensuring that they never had to worry about finding quality carries in a pinch. In addition, repeat business with the same drivers week after week led to strengthened relationships with carriers and the Manufacturer being viewed as a shipper of choice. Interested in LoadDelivered Dedicated Lane Management? Whether you’re looking for contracted pricing and capacity, a fixed-price agreement without a volume guarantee, or a short-term project, we’ll provide customized asset solutions and ensure unparalleled service. To learn how we can add value to your supply chain, contact solutions@loaddelivered.com.